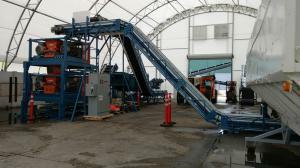 AUBURN, WA, UNITED STATES, November 20, 2018 /EINPresswire.com/ — The American Society of Agricultural and Biological Engineers (ASABE) has named Forest Concepts’ Crumbler® P24M-150e-2 biomass and wood chip precision feedstock processing system winner of a 2019 AE50 award. “We are pleased and honored to receive the 2019 AE50 award as it recognizes the innovation of our commercial scale Crumbler® equipment and the contribution to sustainability it represents for all of the companies in the new bioeconomy,” said Dr. James Dooley, Chief Technology Officer. The Crumbler® P24M-150e-2 System is the first commercial-scale rotary shear designed to process 7 to 10 dry tons per hour of raw biomass and wood chips into precision, flowable particles down to 1mm size for producing energy pellets, biochemicals, biofuels, and other bioproducts. 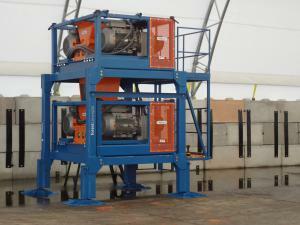 The Crumbler® P24M-150e-2 is unique in that it processes high-moisture feedstocks using very low energy and without the need to pre-dry the biomass. The Crumbler® system is installed and processing wood chips into 6mm particles at Proton Power’s renewable diesel plant in Rockwood, TN. Companies from around the world submit entries to the annual AE50 competition and up to 50 of the best products are chosen by a panel of international engineering experts. The judges select innovative products that will best advance engineering for the food and agriculture industries. Resource, a magazine geared to agricultural, biological and food system engineers worldwide, is produced by ASABE. The magazine is read by thousands involved in the agricultural, food and biological industries. Read more at www.asabe.org/Resource. ASABE is an international scientific and educational organization dedicated to the advancement of engineering applicable to agricultural, food, and biological systems. Further information on the Society can be obtained by visiting www.asabe.org. Forest Concepts, founded in 1998, is a global leader in the development and deployment of new cost-effective technologies for the bioenergy feedstocks supply chain. 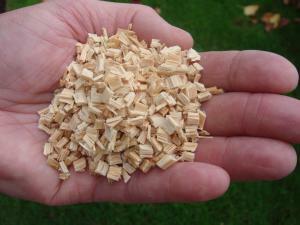 Our innovations through the woody biomass chain simplify logistics, reduce costs and energy consumption, and improve feedstock utility for conversion to biofuels, biochemicals, and biopower. For more information visit www.forestconcepts.com.